The Teknik Office Nova Mesh Visitor Chair is a stylish mesh back visitors chair with a generous fabric seat. It also features an aerated mesh back as well as a bright chrome cantilever frame. 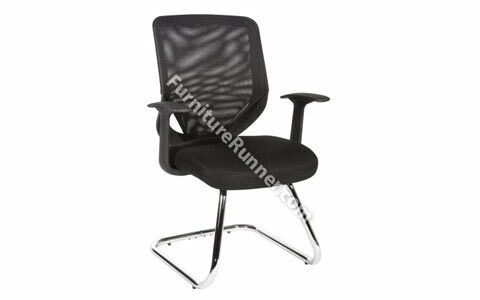 The Nova Mesh Visitor also features a pair of durable fixed armrests as standard.